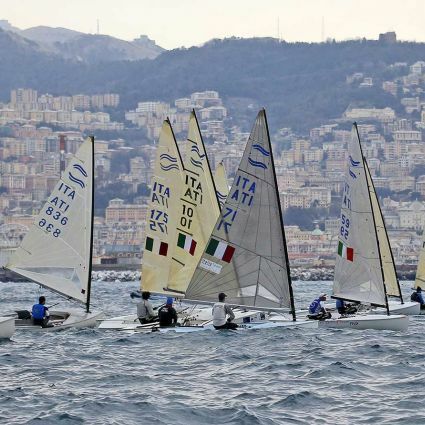 From the 14th to the 21st of April, Genoa will host for the first time the Hempel World Cup Series. The event will take place in the area of the Fiera di Genova, but everyone will be able to enjoy it from all the boardwalk down to Genova Quarto, whilst the award ceremony will be broadcasted in streaming on the official Youtube channel "World Sailing". The Hempel World Cup is not just a competition, it is also entertainment, so this is why there will be lots of activities among the city. The opening ceremony will have place in the city centre and then it will reach the beach at sunset; also, the shops and the local merchants will cooperate in order to increase the enthusiasm during the demonstration. different stages of the competition, whose mechanisms depend only on the World Sailing don't involve the National Federations and is easily accessible from this link. Moreover, under the Regulation of WCS, the invitations for the stage in Genoa have been submitted from the 13th of February. The order of priority has been determined following the results of the crews in the World Ranking, referring to the 6th of February and the ranking list is available here. Lastly, the Notice/Instructions of the Hempel World Cup Series 209 regatta is accessible at this page, and it is possible to obtain specific information visiting the new offical website (linked below) where may be found also useful news on overnight accommodations and means of transport to reach the place of the event.